We normally call ‘Wi-Fi Thieves’ to those who are using someone’s else WiFi network without permission, but the question is that is it comes in the category of Crime or not? Michigan State of America, a person was arrested when he was using Wi-Fi signals of a coffee shop. That person was using WiFi signals daily by sitting in his car which is parked. Prosecutor proves that this person was doing unlawful activity, but according to him that person didn’t have information about this law. By the way this proves that at least in Michigan State of America stealing a WiFi signal is comes in category of Crime. 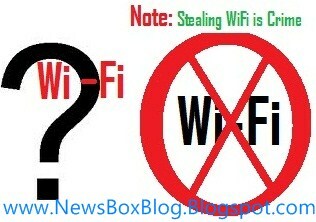 So next time before using someones else Wi-Fi signals without his permission keep in mind that it is crime and the owner can easily know about you by checking connected devices table or list using Internet Log or Internet Monitoring Softwares. Also if the Wi-Fi signal is unlocked with any pwd? @JJGN: if WiFi signals are not protected by Passwrod or any means, then i think its owner's default, it means that he/she allow other people's to use it.. so i dont think its comes up serious category of crime, but i someones stealing bypass all hurdles like password and other protection walls, and dare to use WiFi signals, then it is serious, because in this case he/she use wiFi connection without permission of owner. Is there a way to detect if someone is stealing your WIFI? @ITAM: yes you can easily detect him by Visiting DHCP table of router using Internet LOG, or you can also use Internet Monitoring Software which also tell who and how much volume he is using of your WiFi network.